This is a very easy, gradual descent, down an unnamed ridge between Silver Cove, left, and Great Cove, right. 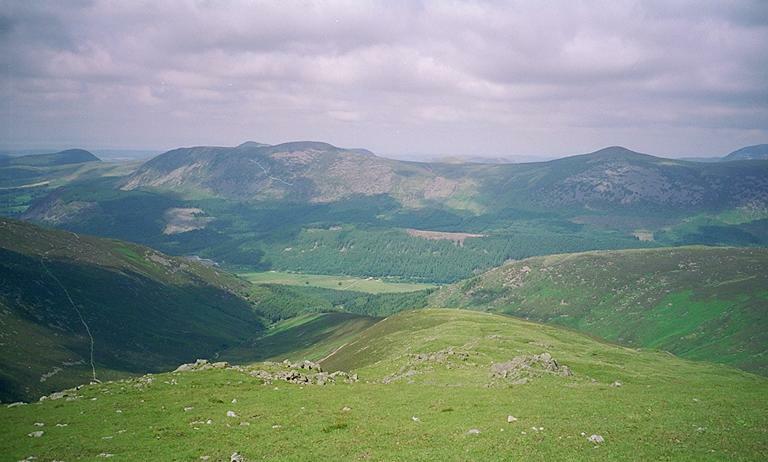 In the distance, to the left, is Knock Murton, centre left are Herdus and Great Borne, with the crest of Blake Fell showing between. To the right, Starling Dodd is prominent, with Grasmoor further right. Smaller version of this picture.